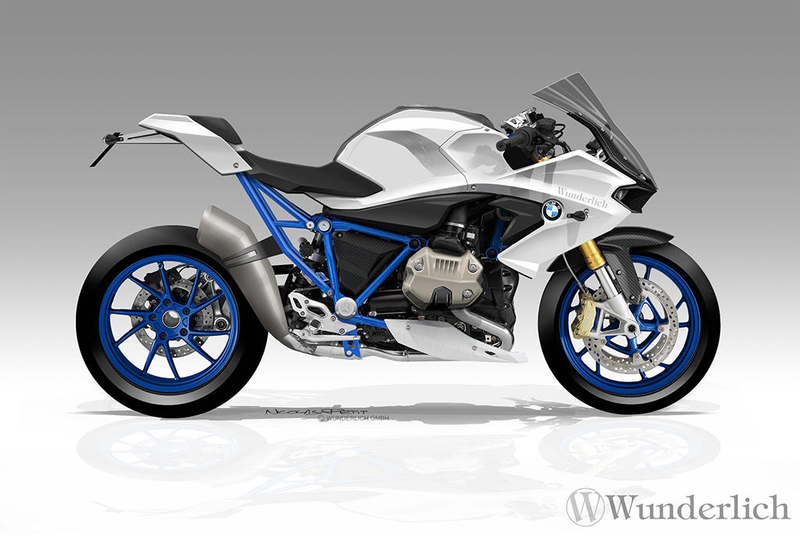 Is This What The 2016 BMW R 1200 S Will Look Like? If the BMW S 1000 RR and the R 1200 RS had a baby, it would be this BMW R 1200 S from Wunderlich Design. It’s the perfect mix of BMW’s boxer motor characteristic paired with German sportbike sensibilities and refinement. What’s even better, is that many people think we’re about to see the real thing. It’s been far too long since BMW gave us something that mixed the characteristics of their opposing twin in a sporty package. BMW HP2 Sports and HP2 Megamotos were the last, and they’re like KTM 990 Adventures in both their elusiveness and massive value to the select few who know about them. They’re often confused for Buells as they rip around, growling at people as they fly past. Motorrad Magazine, one of the largest, most trusted, and best informed motorcycle sites in the world thinks we’re about to see this released and I, for one, agree with them. It could be just because a lightweight boxer sportbike with oodles of torque is the sort of thing that gets me up in the morning. But, if you think about it, their latest generation R 1200 motor is the bee’s knees, and many of their recent offerings have pushed into the sport/sport touring space. Should the rumors be true, expect to see the boxer motor tuned to somewhere in the 125-150 hp range, and the bike given BMW’s latest ABS and traction control system, as well as possibly a semi-active suspension and quickshifter options. Style-wise, I think this thing look phenomenal. It has design elements borrowed from the new Yamaha R1 and Kawasaki H2, but still feels European. I would imagine the biggest change between this and a production model would be the exhaust, to comply with increasingly strict European and Californian restrictions. If they keep the weight relatively low on this and re-tune the GS motor for a sportier characteristic, this could easily become my favorite bike in their lineup. Sean MacDonald is the brand spanking new Editor of Lanesplitter. He likes long walks on the beach, searching for the best new burger spots to ride to, and his girlfriend says his snoring sounds like “braaaaap.” Follow him and his adventures on Instagram, Facebook, and Twitter.